Hey guys! My auctions end in less than 24 hours! Most are still at their starting bids! Check it out here or click on the pic below! Thanks! FurretTails Great Reveal #2! Apocalypse! 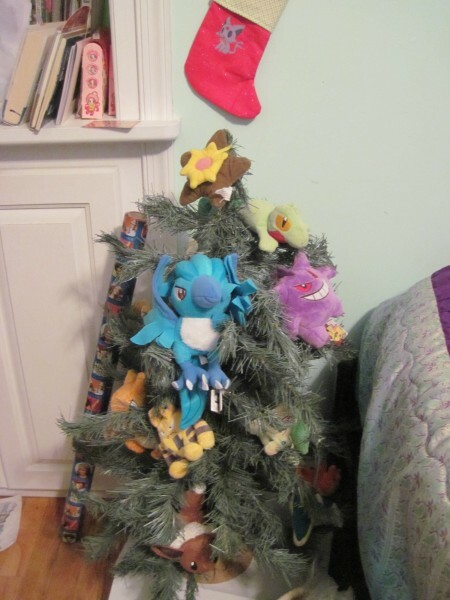 I might not have finished all my Christmas shopping, but hey--I have a tree. Hopping on to the Mini Pokedoll House Group Buy Bandwagon. Toot toot! 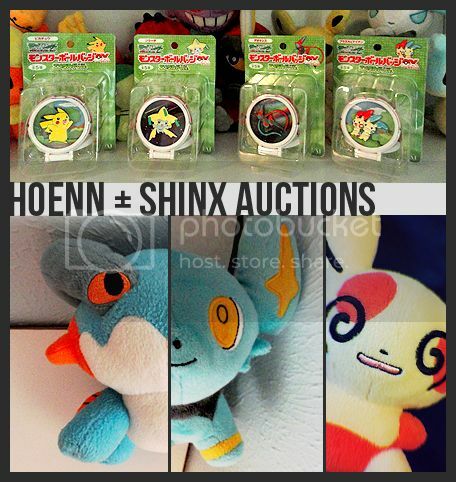 Another Group Buy for the Mini Pokedolls + box. Sales permission granted on 04/07/2011 by dakajojo. * You can claim as many as you want, and the box is up for grabs too. Just be ready to pay January 2nd. * There will be two payments. First payment is item price + shipping to me. Second payment is shipping to you (I ship from the US). 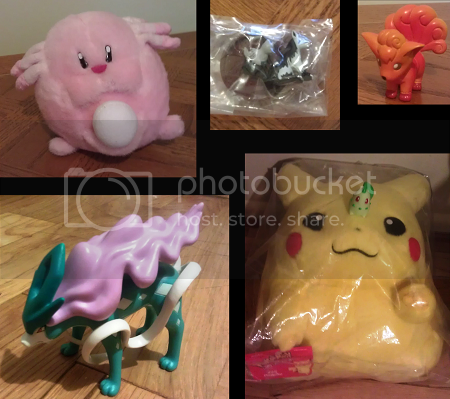 * Each item is $6.93 before shipping and fees (With shipping and fees you're looking at about $10 per plush). Note that if you claim the box shipping will be a bit higher than if you claim a Pokedoll. There are still some folks that needs some claims for their own GBs. Somebody give those Manaphies some love! This has been gnawing at me for some times now and I haven't had any luck in my searches. Is there any Grimsly/ Giima merchandise out there? He is by far my favorite human and I would love to start collecting him but it's hard to do that if you can't find anything to collect XD The only thing I have found was what looked like a UFO doll but that's it. On that note, what are some of your most difficult to obtain humans in your collection? First Sales Post: TCG (all holos, exs, or shadowless), Figures, and Think Chips! Hey everyone, I have my sales permission now so it's time for my first sales post! I have a lot of old stuff for sale, including lots of old cards (including the original Lati exs), Hasbro and TOMY figures, and some Think Chip items - a bunch of Pokemon, a stadium, pokedex, and Ash! All of the Think Chip items are fully functional (I tested them yesterday), and if I can figure out how to I will include videos of them! EDIT: While looking through my cards for some particular pokemon, I happened across a few that I missed - including a Zapdos holo and shadowless Gastly! They are now included here. One last thing: for those who participated in the Eeveelu Tumblers Group Buy, Atlantia_rai went to pick up the tumblers yesterday. Just in case you didn't get my notifications, we need to know your locations so she can calculate shipping costs. Please post here or PM me your locations! Update for Plush Stairs GA! So awhile ago I got in contact with the host dialny about this, and a post was already made informing participants that there were real life issues which conflicted with the shipping for Plush Stairs GA. Dialny also said that the holiday season is here, and that shipping may be unstable. However, I am here to update all of you and say that I have your plushies ready to be shipped, I know some people are probably wanting to wait until after the holiday is over, if you want your plush shipped out ASAP, let me know, and if you want to wait until the holiday is over, let me know that as well. I want to make sure that things are as smooth for you guys since there was a delay in which I was unable to prevent, which I will apologize majorly for. I am now starting to be much healthier, and my semester is over as well. If I need to explain my situation in detail to someone, let me know, but there really wasn't anything I can do. Rest assured, though, your plushies are all safe. Just let me know in the comments what you'd like to do ^^. Happy holidays, and thanks for your understanding. I have been lurking in the community for a bit and figured I would introduce myself. I started collecting Pokemon things back in 1996 although I didn't maintain them well since I was young, and played with them a bunch :D Surprisingly most of the Tomy figures I have only have a few visible scratches and colour ware on them. 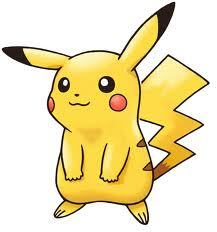 I currently play the Pokemon TCG (non-competively) along with the DS games. I discovered Smogon a few years ago and that is what got me back into Pokemon collecting/gaming. 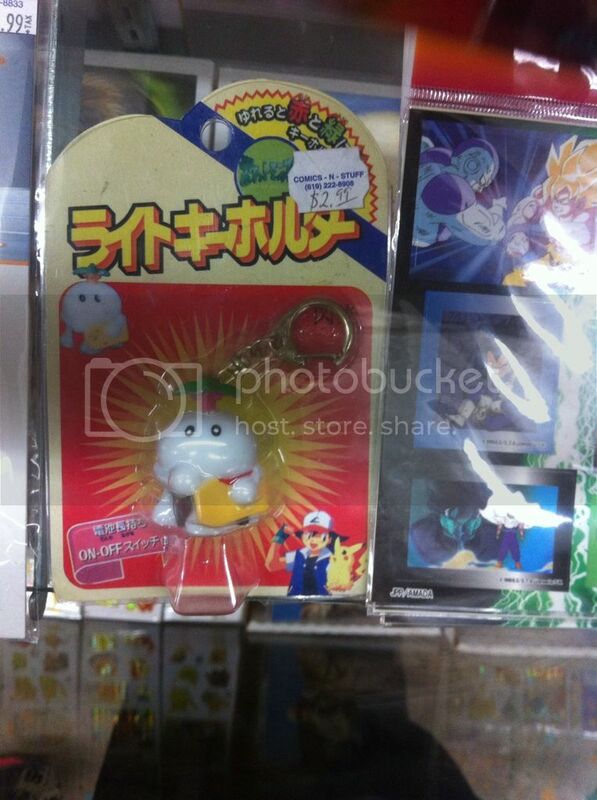 Okay first off Id like to ask if anyone can translate the text on bulbasaurs' tag that would be awesome. 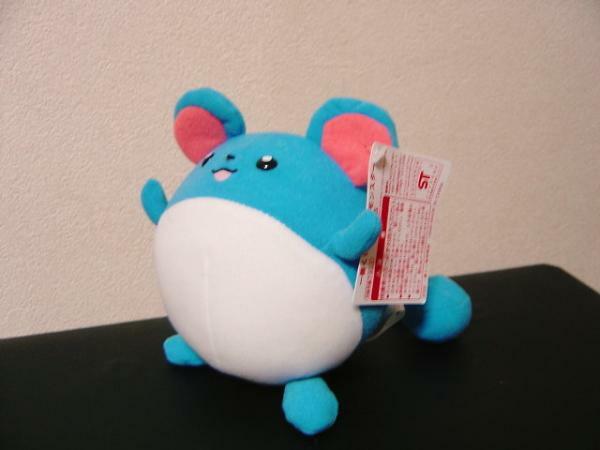 I really like this plush line and Iam intrested in looking for more but I don't know what the set is called other than they are made by banpresto in 1998 and are taffatea material. 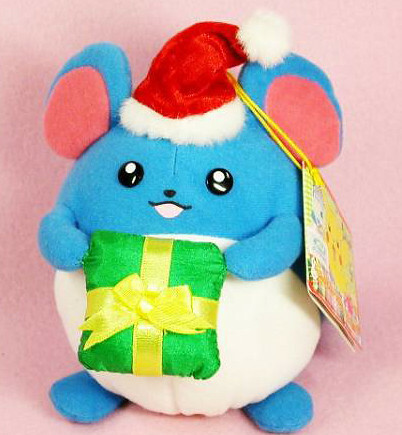 Secondly I'am looking for any information on this plush. It looks like a Toy Factory Shaymin at first glance but it is way bigger. The one in the picture was found in a crane game machine and was missing a flower so it maybe a factory reject. Regardless I must find it, I love his pudgy body! Finally this is my collection it isn't massive but I love how detailed the figures are after all this time and being scratched around in storage they still look amazing. 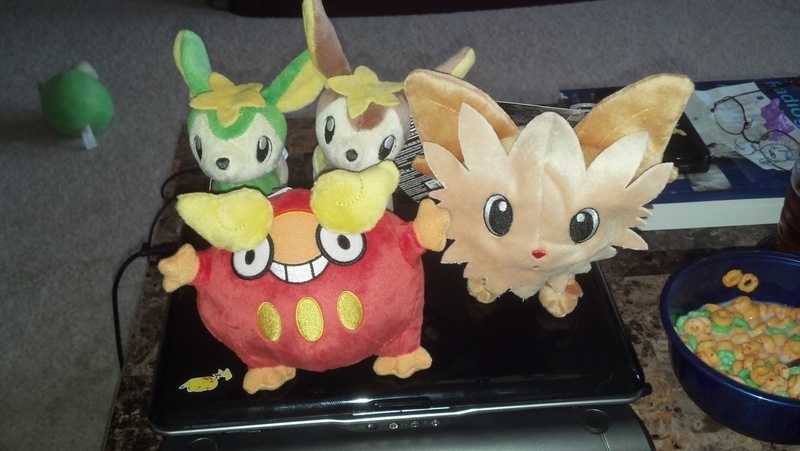 My collection will focus on plush from now on though these are all from the late 90's. 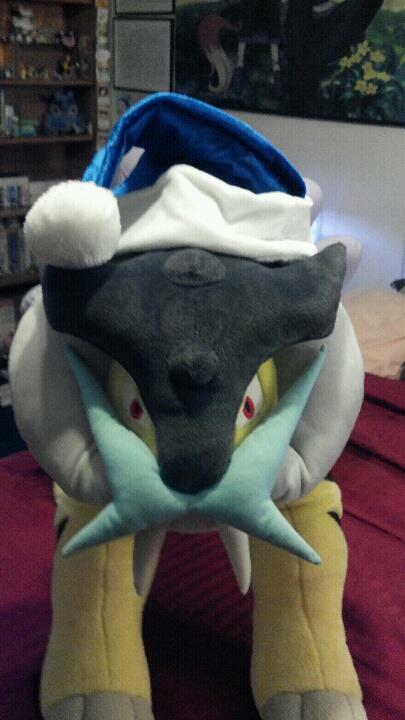 Hellow everyone, I hope everyones excited for the holidays as I am! Fianlly after several rainy days, the sun has shone again and now comes an exciting collection update! If you have it or the set or any other pair pika items (not pins though), just let me know. 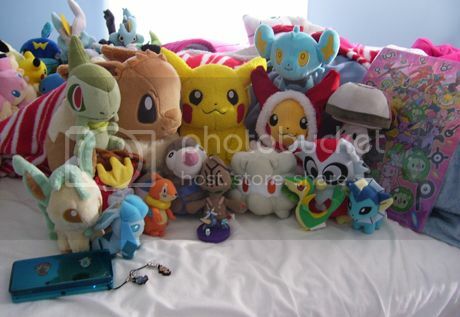 Speacially i'm searching: Pokedoll ( any version, but not bootleg), Pikachu Pair pillows and other things from this promo! I like big plush and I cannot lie! 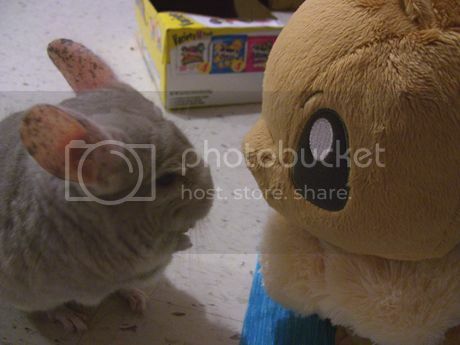 I have been wondering lately what 1/1(lifesized) plushes there are out there. I have a thing for large plushes, even though they are hard to display! so I want to try and get some more 1/1 plushies someday! so what other ones are there? 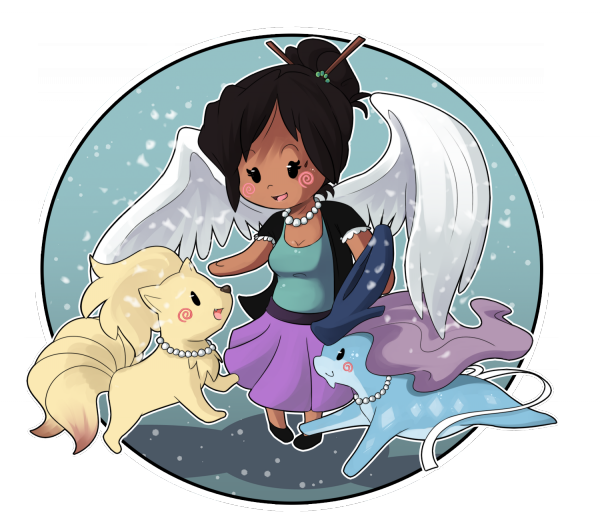 I currently know of the johto starters, eevee, victini and pikachu. P.S. 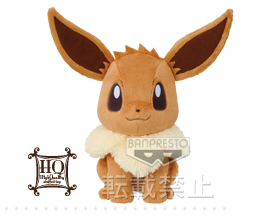 for those involed in the HQ eevee GA we are still waiting for an invoice, hopefully there will be some movement soon. Nintendo World Store Merch Update. 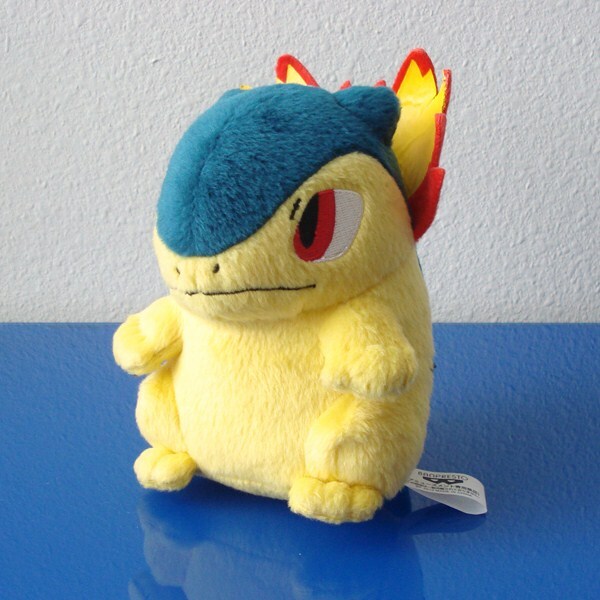 Charizard Plush! Hi everyone! Nintendo World updated their plush selection with a 12 inch Charizard plush! For anyone who is interested I will be doing pickups for this item. 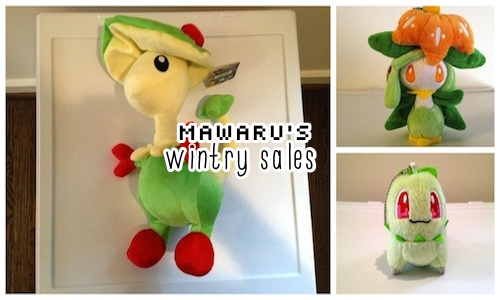 In addition to Charizard, they also restocked on the Axew plush. 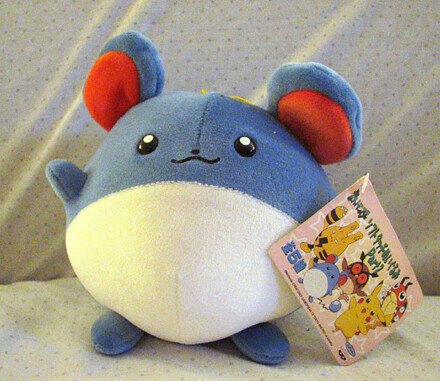 I have updated their plush merch for anyone who is interested in purchasing any plush/pokedolls. Please click here for their selection/pricing/pictures. A little sales post for you all! 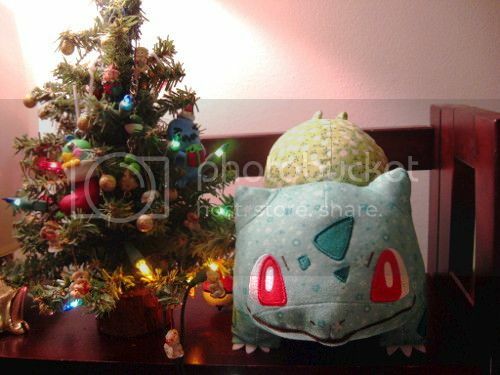 Selling a bootie Breloom plush and Lilligant and Chikorita keychain plush. 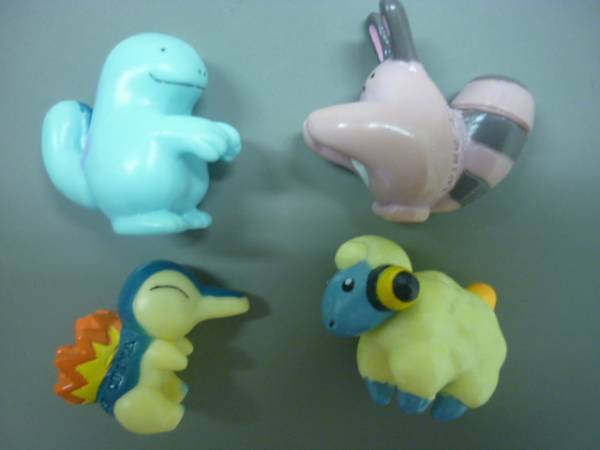 I'm also open to getting one of Azurill or Azumarill instead, if they have any that aren't super rare. 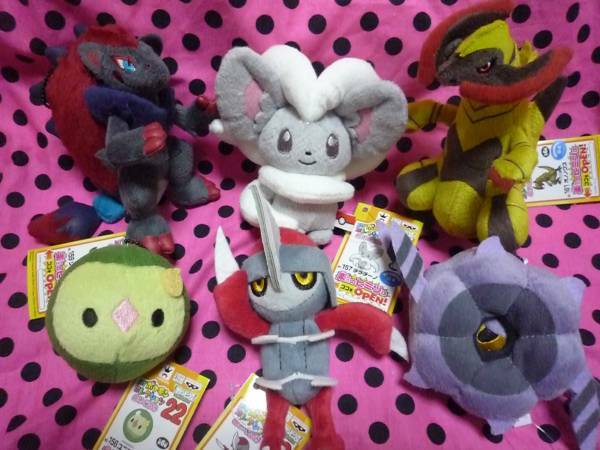 Also still looking for an Erika TFG and the Jirachi Wishmaker! Hello community! As I was out and about for Christmas shopping I stopped at a local store I frequent because they sometimes carry Japanese pokemon Merch! 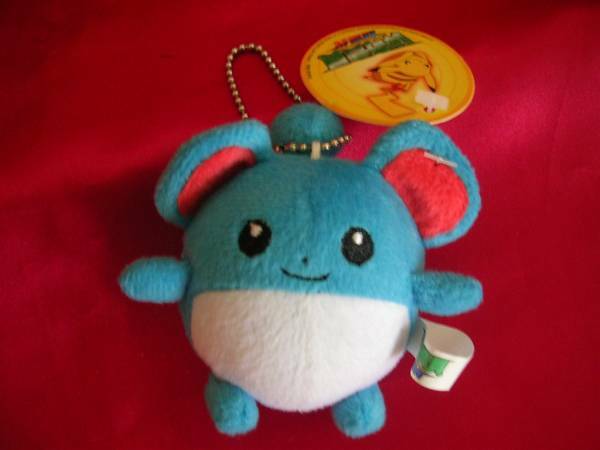 upon browsing I came across this little guy and was wondering if anyone knew what it is, or if it is even official pokemon merch?? 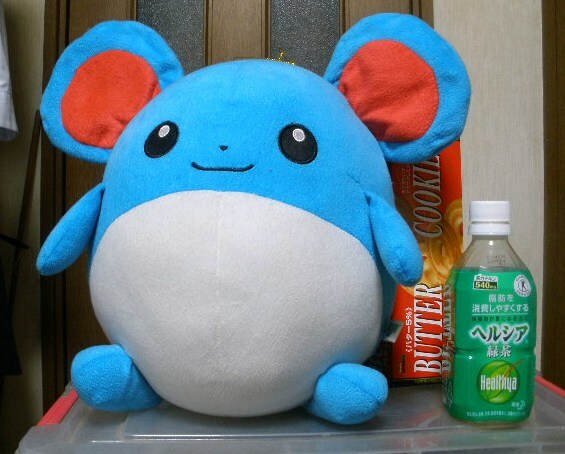 (I feel silly because im not exactly sure i can even identify what pokemon this is?. Lol.) sorry about the picture quality this was taken on my phone. Also I realized I have not yet posted any pictures of my collection, but it is still small and once I figure out what Merch is out there and have a more specific wants list I will post them together!!! 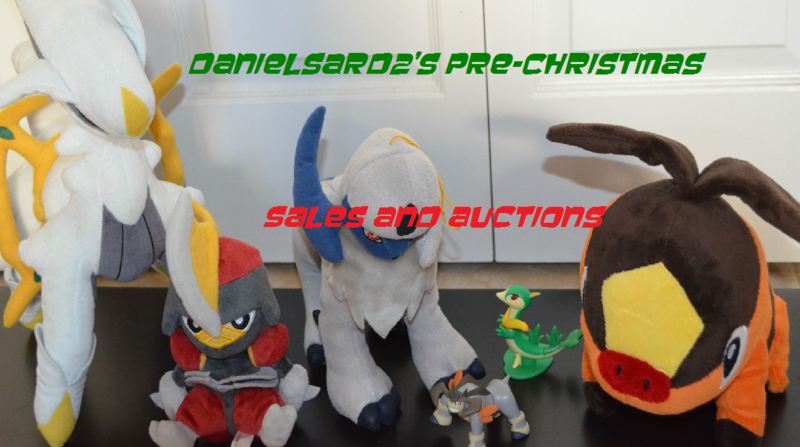 Anyways, the auction will now be ending at 1am Dec. 20th CST (originally was 11pm Dec. 19th CST). All plush can stand on their own! They do that cause they want to be accepted. Please, accept them! THEY HAD MORE OF ALL THESE PLUSH. Servine, Lillipup, Pansear, Deerling, Darumaka...think that's it. I can go back and get more but the price would be more since the sale is off! If anyone isn't tired of GA's please take a look here. ...and a Farfetch'd with great agility! I love him, you guys. ;u; His name is Paisley. Because... y'know... he's patterned. Oh I am hilarious. 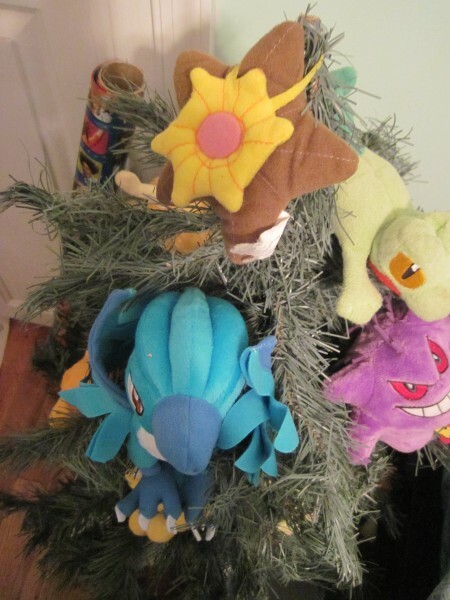 As an aside, if you enjoy photos of Pokemon merchandise, I have a tumblog for that here. THE NEW POST WITH PAYMENT INFORMATION IS UP HERE! Customs Slots (seedbead & sculpture) and Sales. I have been on hiatus for a while from the community due to some personal things. First off, I will be doing feedback for everyone who participated in the GA I held a while ago. I am so sorry it took this long to get it done. :( Things are a bit better now and I have some time to get some customs done. So I am here to offer 1 custom sculpture slot and 5 slots for custom seedbead charms or earrings. Without further ado, click the cut to get more info on my customs! Sales Permission granted by dewott on 10/4/2012. I ship from Hawaii, and can ship worldwide. I ship Monday-Friday. I use USPS as my preferred shipping service. Please let me know *in advance* if your package requires tracking/insurance. Also please understand that sometimes shipping from Hawaii can take longer than usual. I am not responsible for lost/stolen/damaged parcels after the package has been sent out. Custom sculpture will be packed very very well! I use bubble wrap, tissue paper, paper, sturdy box, and have fragile written all over the box. Seed bead charm will be in x-small bubble mailer unless you request a regular one. Last here is a link to my Sales post, I have updated it a bit and dropped prices. Lots of items under $5. And a shout out to Rhys107, I still need third payment from you for Pikapals GA from a long time ago. :( I PMed you but no reply. If anyone has heard from them please lend a hand? Stay tuned for my collection update soon guys! Thanks for your time!